A Teaspoon and A Pinch: Sugar Shocked. Whew, it's over. Sort of. Ok, honestly, I've decided that it's not going to be over. Not just yet. I've spent the past six and a half weeks avoiding sugar like the plague. I gave it up for Lent, to really challenge my dependence on sweets. And it's been hard, y'all. Hard. The first three weeks were the most difficult; I found myself craving sugar after every meal, and mentally battling it after dinner, especially. At one point, I was in Target grabbing a few items, and everywhere I looked, I saw treats. Treat, treats, treats, and more treats. I felt so panicky and desperate for a treat, that - I kid you not - I bought myself a tshirt and scarf just to appease my urge to indulge. It was incredibly hard. Then, my skin started clearing. And my jeans started fitting better. And I had renewed motivation for keeping at this sugar battle thing. I wish I could say that I felt some deep sense of health that kept me going, but seriously, my skin was the clearest it's been in two years. And I was wearing jeans that haven't fit in longer than that. Vanity may be sinful, but it's definitely a great motivator. Then, somewhere around the four week mark, it got easier. I got into a bit of a routine, with my snacks consisting mostly of fruits, veggies, hummus, and Lara bars. I was definitely eating plenty, but I was filling up on whole foods and fewer processed carbs. And it felt good. My routine of eating green smoothies for breakfast, enormous salads for lunch, and some kind of homemade dinner felt good. And a bit foreign at the same time. So, today was my day. The day I'd been looking forward to for weeks. The day I'd been dreaming of and planning for. The day I'd stockpiled Easter candy for and the day I was definitely going to indulge in my favorite treats, beginning with my chocolate chip cookies recipe. And something weird happened. Well, a few weird things happened. My chocolate chip cookies recipe utterly failed me. Twice. And after eating some of the batter, and two of the cookies, I felt gross. And then I got moody enough for Bo to ask if I was ok and then keep his distance. 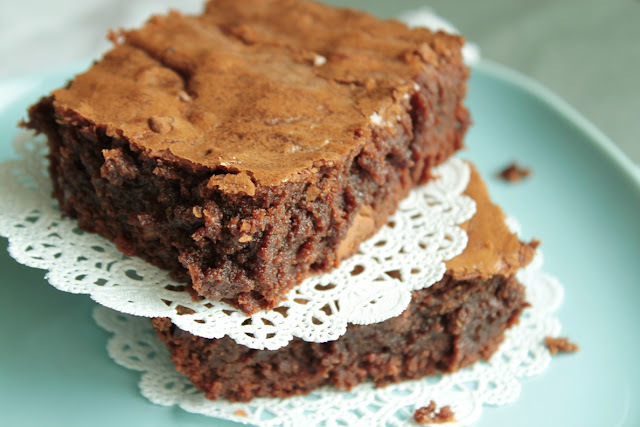 So, I quickly whipped up my no-fail brownies recipe. Which, thankfully, turned out (I absolutely hate wasting ingredients!). But by that point, I was really just craving a gallon of water and my toothbrush. And I found myself eating brownies just because I was supposed to. It was my day, after all. Right? So now I'm left feeling a bit conflicted, and definitely bloated. I had planned to ride out this no sugar thing just to see. But now that I'm there, I'm definitely wanting to push it a bit further, a bit longer. And not just for the sake of my skin and my hipbones finally making a comeback. All the sugar I was eating before was crowding out the things I knew I should be eating - tons of fruits and veggies. I won't lie and say that now I'm part of that crowd who claims that eating a piece of fruit will quell your sugar craving! Ahem, no. But I will say that I feel better enough to keep this going for a bit longer. You can do it! I've been sugar free for a few weeks now, and my special treat is dates. They are super sweet to me now! I totally agree that my sweet gauge has changed big time! Now things that used to be whatever to me, are super sweet! Crazy how we condition ourselves over time, huh? Great job. It is rough and I always fail. I am not even that much of a sweet person, but I love my baked goods and starbucks! I have not made it 30 days yet, but I think you might have encouraged me to! Oh, and I don't eat soy (other than tamari) either.